A friend once said they hate camping because you get dirty and grimy. I thought about it and yes, that can actually be true especially when camping at state parks where your sites are usually in dirt or sand. However, That IS camping. You do get dirty, you do smell like camp fire smoke, you do rough it in some cases. That is why some people prefer RV’s where you can have the comfort of home and still enjoy camping life. You can sleep in a warm comfortable bed at night yet enjoy the outdoors, nature, the waves crashing on the beach, birds chirping in the morning, the stars at night, S ‘Mores around the campfire, and all that camping encompasses. At the very least, you are getting away for the weekend even if it is close to home. 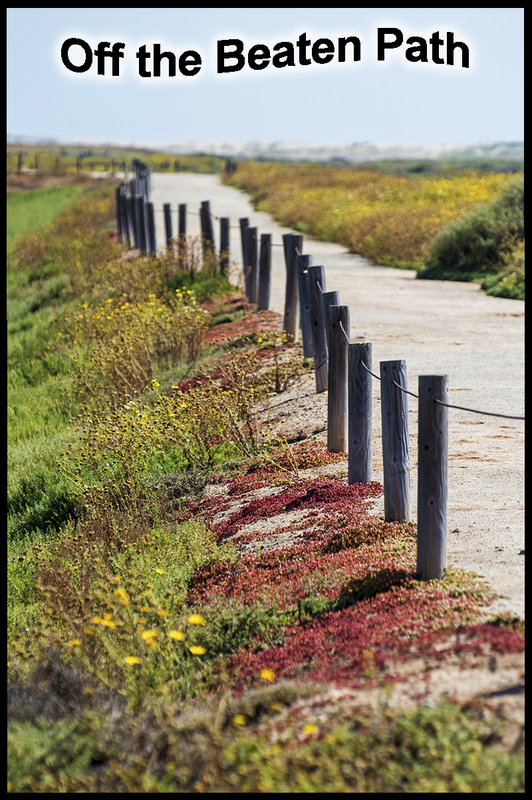 Getting away for the weekend and close to home is exactly what we did as we packed up our gear to stay at South Carlsbad State Beach. 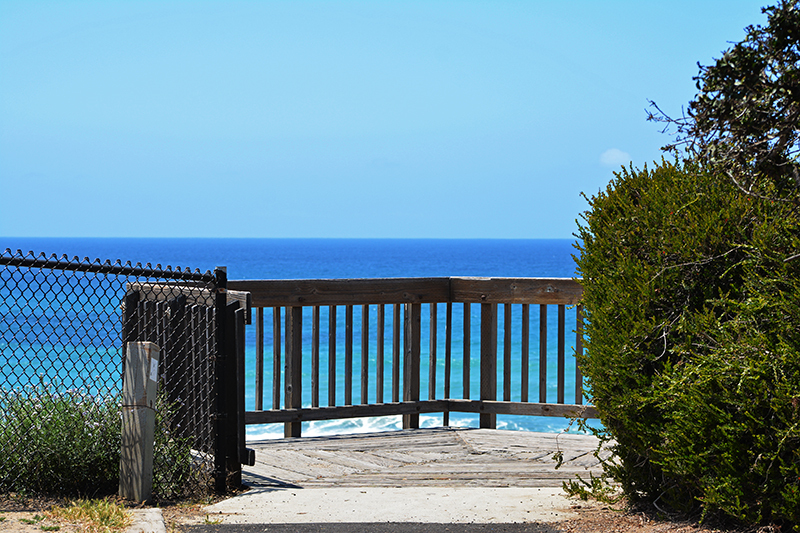 The park sits on the cliffs just south of Tamarack Beach in Carlsbad. 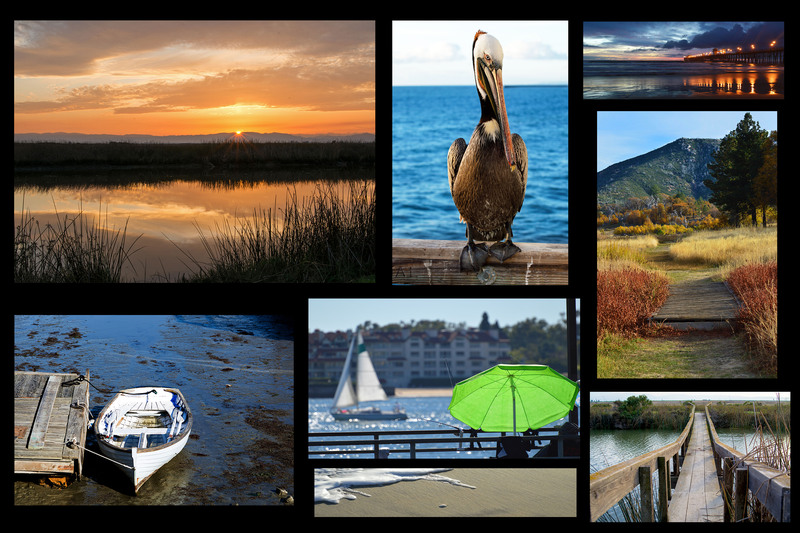 It spans about 2 miles and is home to about 222 campsites some of which now have hook ups. Obviously the best sites are the ones that sit directly on the bluff facing the Pacific Ocean. On the other side of the road the sites may not have the same unobstructed view but it is only a short walk to find a view point overlooking the coast. At least that was the case from our campsite. For this particular weekend, we pulled out a brand new tent and we had two people putting it up while I sat back reading the instructions and supervising. Hey what can I say, I was born a supervisor so that is what I should do, can’t deny my calling, right? Once in awhile between sips of beer, I had to get up to compare the photo illustrations to make sure it was being built correctly. The tent went up in a reasonable amount of time thanks to my brilliant direction, oh… and the other two of course. Once accommodations were set up it was time for munchies and a fire. Looking up at the stars, the fresh air, and talking story by the bonfire is what camping is all about regardless if you have a tent or a bus sized RV. The dirt can always be washed off at the park shower and the smelly clothes can go in the washer when you get home. 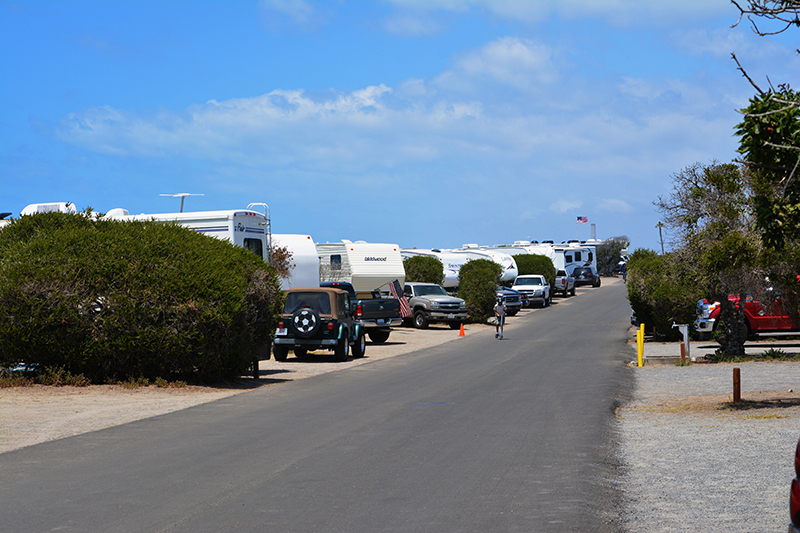 South Carlsbad State Beach has a mix of campsites ranging in size. All spaces are ample and privacy is in the form of trees and bushes between each camp. 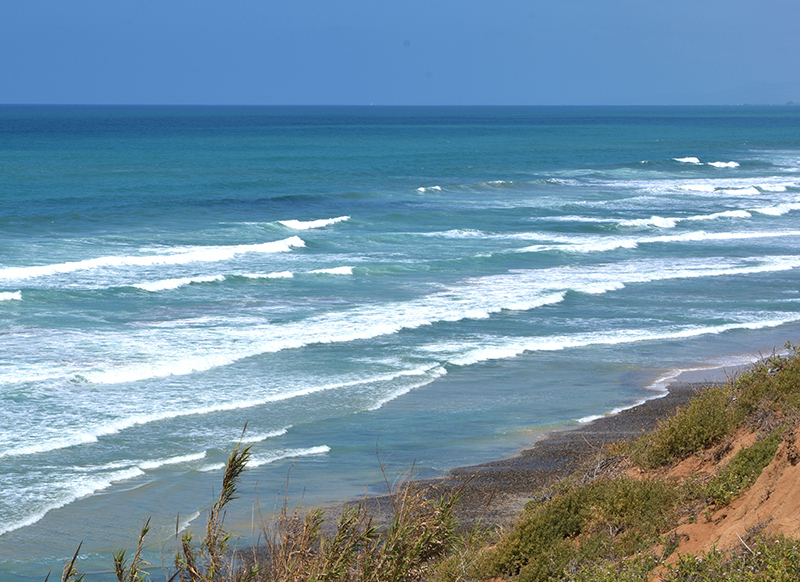 The beach can be accessed by a long stairway available in different parts of the park. The view point and the stairs were very close to where we were so it wasn’t a long walk to get to the beach. Climbing down the stairway is a nice little hike but not too bad. If you go to the beach with all of your gear, plan to stay awhile. We did take the stairs down to the beach and were surprised on how many rocks were along the shore between patches of sand. However, the rocks were gorgeous with hues of red, orange, green, blue, etc. I was bummed that I didn’t take my camera with me as I chose to collect a few shells instead. There were hardly any shells as it turned out so I plopped down on a comfy boulder and enjoyed the sights of the beach anyway. Heading back up the stairs I have to admit there were a few huffs and puffs coming from my direction. We stopped to enjoy the 180 degree view of the coastline from a bench half way up but it was just to enjoy the view and not to rest, I swear. That’s my story and I am sticking to it. Back at the site we just kicked back as you usually do when camping and eventually squandered over to an empty site to watch the sunset. For dinner we cooked with a camping stove and sat at the provided cement picnic table to enjoy our delicious meal. Also, all sites have fire pits. It is a peaceful camping area at least in the section where we were. They only allowed 3 cars per site which was a bummer as some of our friends wanted to come visit. Plus the hefty $15.00 parking fee kept away anyone who was only going to stay for a few hours. Maybe that is why it is so quiet there; nobody can plan a raging party when there is no place to park. We were told that you could park outside on Pacific Coast Highway and come in through a gate but there is no guarantee your site will be close to that entrance. It is just as well, the quiet is nice. The bathrooms are clean and the sites as mentioned are plenty large. An onsite store is open until 8:00pm with pretty much everything you need or forgot to bring. The park is a great place to camp whether you want to play at the beach or just sit back and enjoy the sound of the crashing waves. 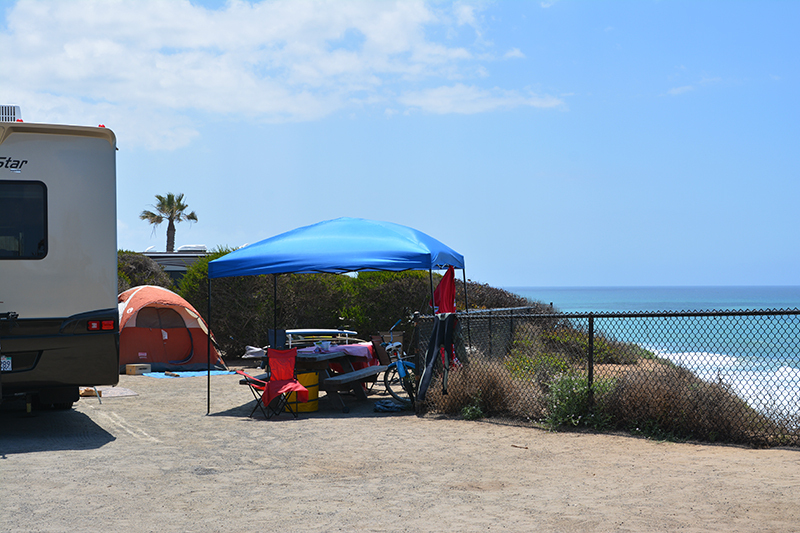 If you love camping, consider South Carlsbad State Beach. 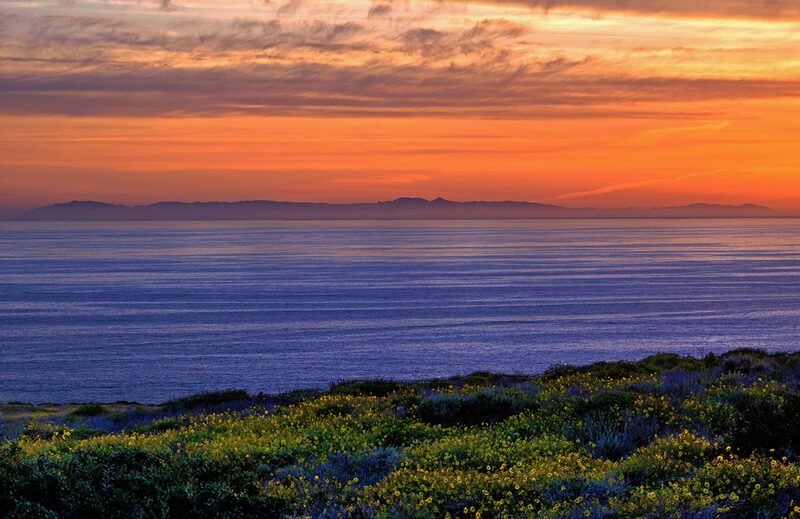 Leave your TV behind and instead enjoy a beautiful sunset across the Pacific Ocean. Substitute a night at your favorite restaurant for a barbecue of chicken or steak with corn on the cob, and finally, forgo that fancy dessert and instead gobble down a hot gooey marshmallow stacked between a graham cracker and Hershey bar. That is camping, and as far as the dirt? I say…Bring it on!!!! Haven’t done much beach camping in SoCal. But I love that smell of sand and hot dogs BBQing, maybe you know what I mean!